The only hotel I took the stairs instead of the elevator every day. It was a joy winding my way around and looking up at the beautiful yellow globes of light that changed with the sun. 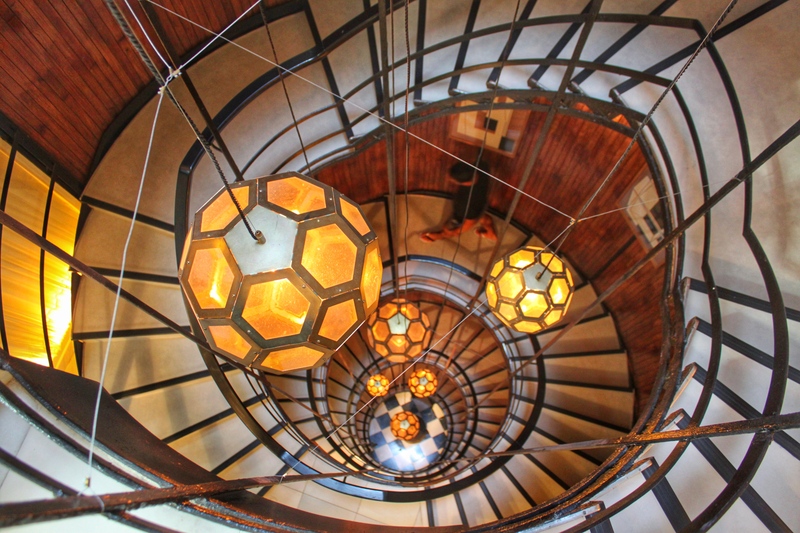 The staircase in the Cotton House Hotel is protected by the city of Barcelona as a historical architectural feat‬. Built in the 1960s it’s the first of its kind – a hanging spiral staircase suspended by cables. This is gorgeous! Beautiful photo in a beautiful place. Love what I’ve seen of your blog, look forward to following.